Being the huge fan of our feathery friends that I am, one of my favourite places to visit is Pukaha Mount Bruce, National Wildlife Centre, a wildlife sanctuary situated in the Tararua District, North Island, New Zealand. Oh Pukaha! How do I love thee, let me count the ways. I love thee to the depth, breadth and height of the 942-hectare, protected forest and wildlife gem that you are. 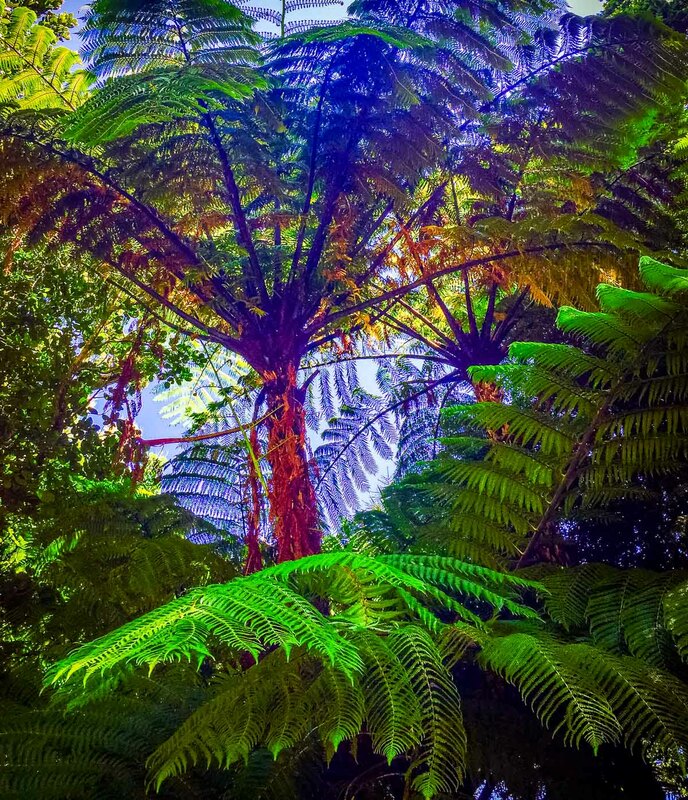 There is so much to see and do at Pukaha, one visit definitely is not enough. Pukaha Mount Bruce is dedicated to the protection and restoration of New Zealand native bush and wildlife, and in particular its endangered native birds, and is home to quite literally my favourite bird in the whole world, ‘Kahurangi’. 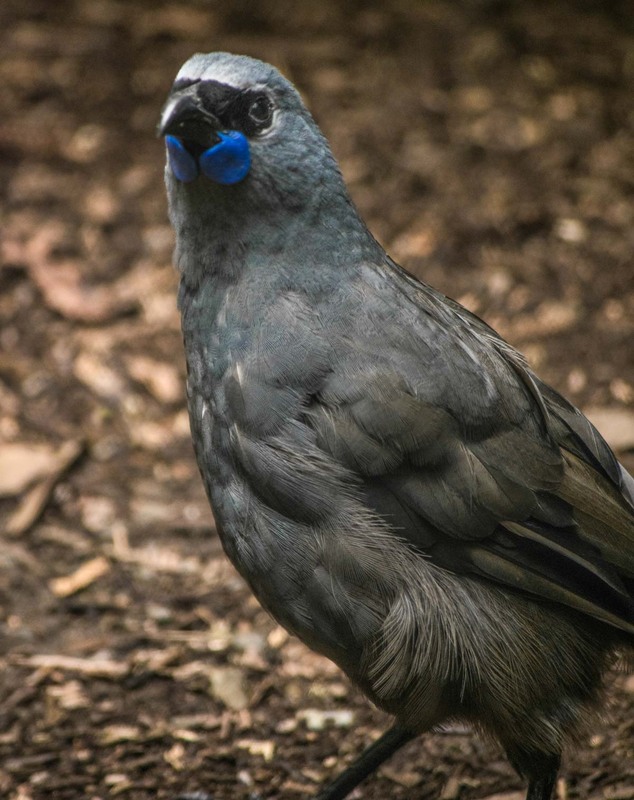 Kahurangi is a North Island Kokako, these birds are slate grey-blue in colour with a striking black facial mask and blue wattles. 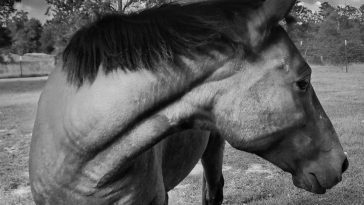 Kahurangi is a right character and having been hand-reared she loves humans. 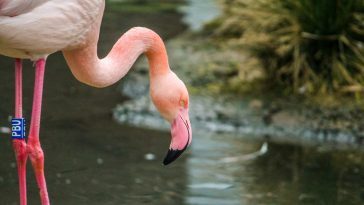 She can be a bit shy in the moult (which she was amidst during my last visit) but is otherwise quite the show-of, coming to the front of her aviary to greet you. Kahurangi wolf whistles, makes various clicking sounds, some human-like clicks (like when we mimic the clip clop of a horse with tongue clicks), and says ‘kokako’, as well as making some of her own song, although this is not the same as Kokako in the wild apparently due to the time she has spent around humans. 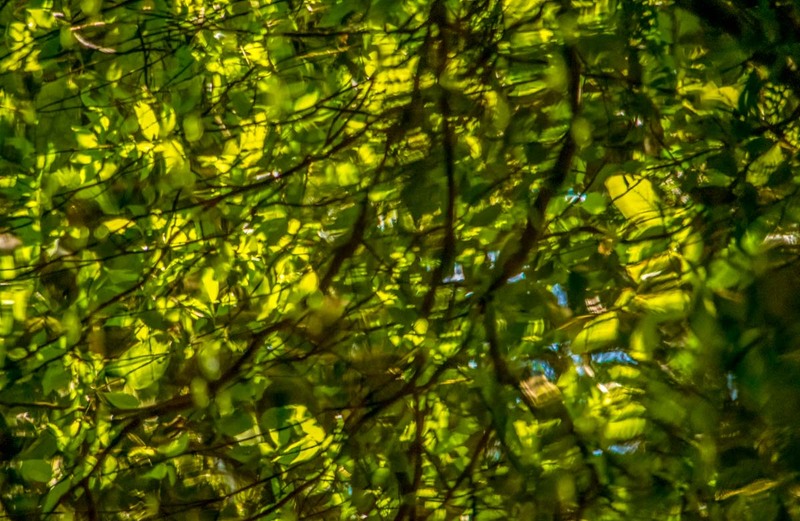 The Kokako song in the wild is described as an eerie, spell binding mix of mellow whistles, and organ and flute like notes. Breeding pairs sing in duets together, and Kokako song is unique between different populations. Kahurangi is the only Kokako in an aviary in New Zealand, so it is a special experience to be able to get so close to one. Kahurangi having been around humans so long cannot be released to the wild but she serves as an important ambassador for all Kokako and the important conservation efforts at Pukaha. The Kokako is unique to New Zealand and part of an ancient family of wattlebirds, along with saddlebacks and the sadly now extinct Huia. Like many of New Zealand’s native birds, the Kokako is mainly a ground dweller and is not a great flyer and so populations have been decimated by the introduction of predators such as rats, cats, stoats, and possums. Kokako, once widespread in the North Island forests, are now rare in the wild and populations now only persist where there is sustained pest control. All unmanaged populations are extinct. However, due to the conservation efforts at Pukaha Mount Bruce there are over 40 Kokako in the wild around the sanctuary. As at February 2018 Pukaha replied to my Instagram post saying they are hoping that this year’s Kokako count will be over 100. This is incredible for a special bird which was on the brink of extinction. Not such a great story for the South Island Kokako yet, which has orange instead of blue wattles and darker grey plumage, but there is a glimmer of hope. 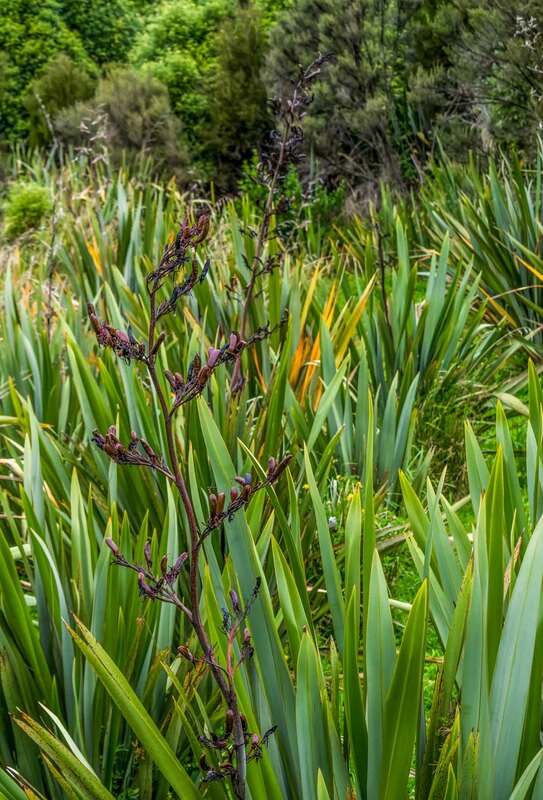 Once thought to be extinct, as a result of reports of possible sightings of the “grey ghost” and of hearing its call, and an accepted as genuine sighting in 2007, this classification was changed by Department of Conservation New Zealand in 2013 to ‘data deficient’ and so an urgent search is now on. 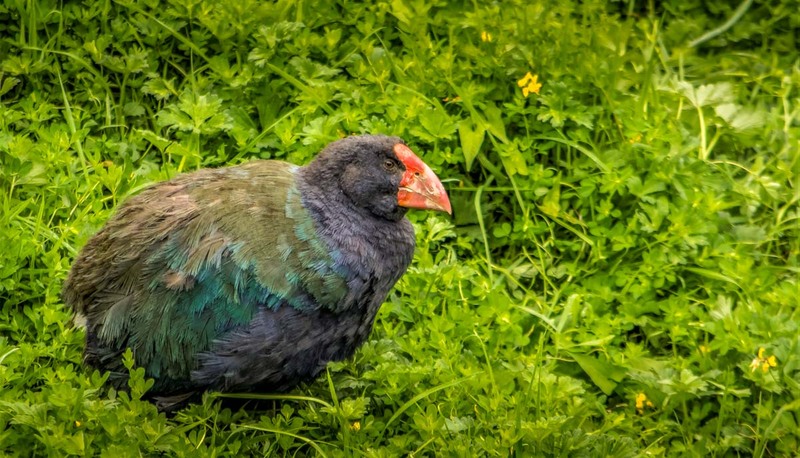 There is a trust in New Zealand now offering a NZ$10,000 reward for a photograph or information which leads to confirmation that the bird indeed survives. I really do have the fancies on launching an expedition. But hey, it’s not all about Kahurangi and the Kokako, there is an aviary walk at Pukaha with aviaries inhabited by all kinds of protected New Zealand birds which are being bred for release back in to the wild to increase their populations. 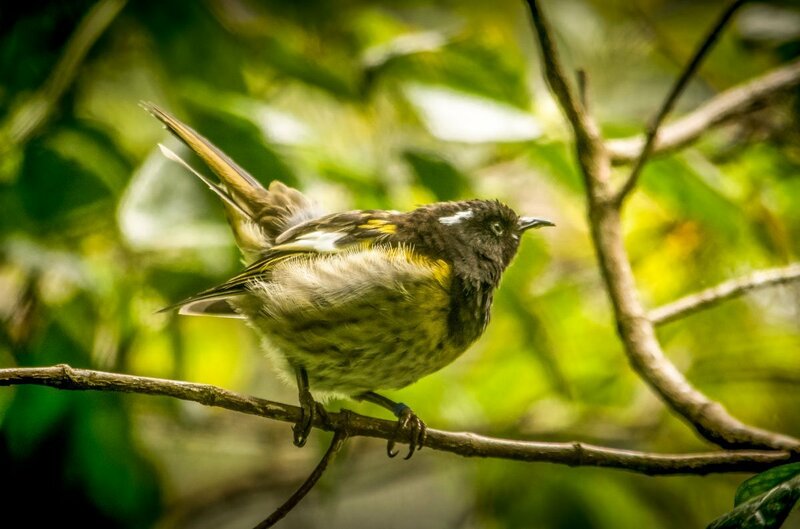 Pukaha Mount Bruce is the only site in New Zealand where you will see the cute little yellow and black Hihi (stitchbird) in aviaries. Another avian show off but very flighty and jumpy and seemed intent on only showing its fluffy, feathery behind to the camera so it was challenging to get a decent photo. There is also a nocturnal house, housing the kiwis, and this includes a rare white Kiwi called Manukura thought to be the only white kiwi in the world! Sometimes it can be hard to spot the usual brown Kiwi in nocturnal houses but Manakura’s pretty easy to spot in the darkness. I’ve seen her on both visits, she’s very cute. 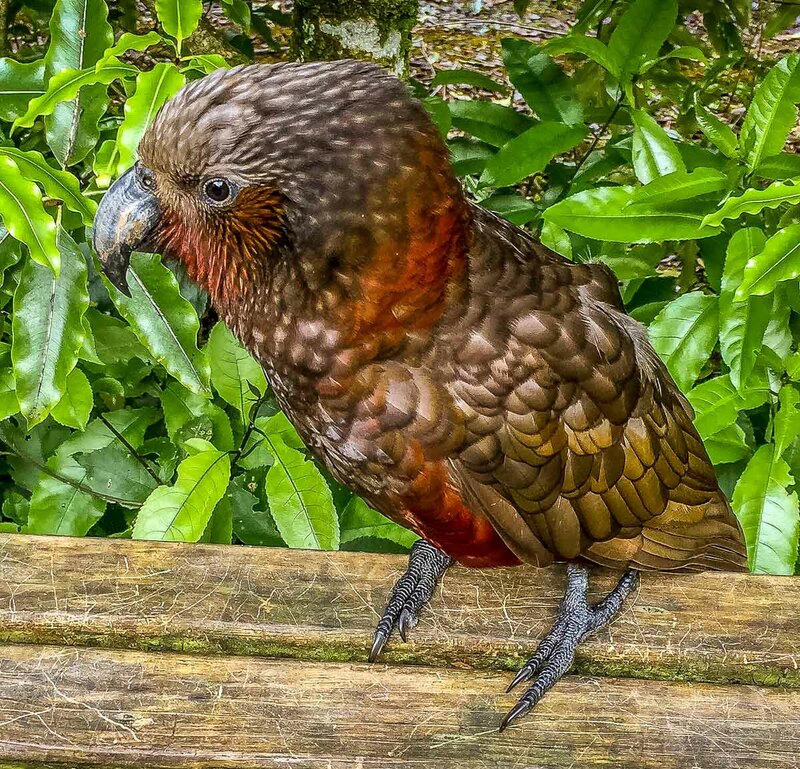 You can also see North Island Kaka (a native parrot), Whio (blue duck) and Kakariki (a native parakeet) at Pukaha. For the human visitors, the café serves a good coffee and other treats but you can also take your own food and picnic at Pukaha, just don’t feed the wildlife. 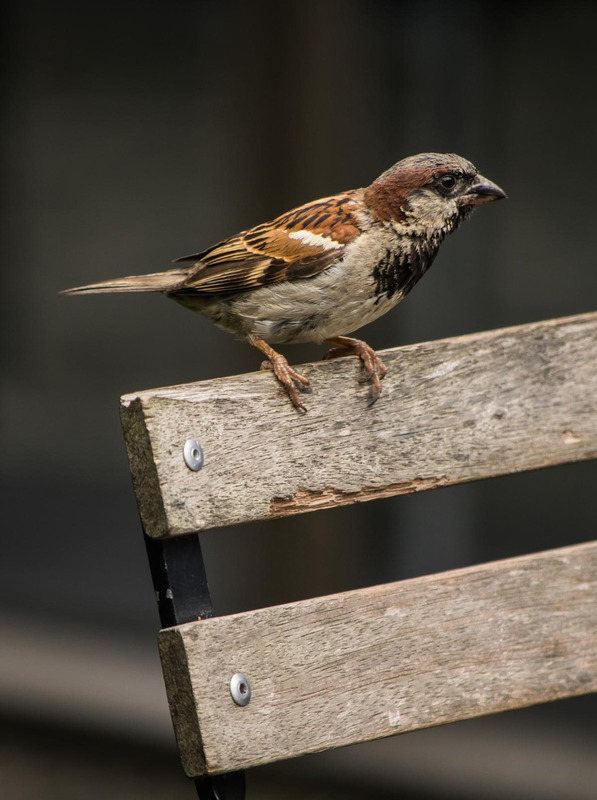 You will need to be on your guard for the wild Kaka in the area who can be pretty cheeky and insistent though, as can the sparrows, and will make off with whatever they can steal. There is also a 2 hour loop bushwalk which I have in fact yet to do, having run out of time on each of the occasions I have visited. 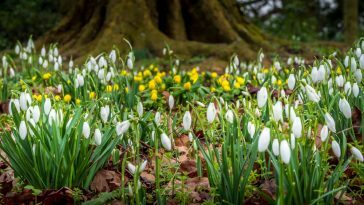 The highlights are the seven daily wildlife talks and feeds, which are really informative and allow you to get more up close and personal with the wildlife, and ask lots of questions of the passionate staff. I’ve now done them all. 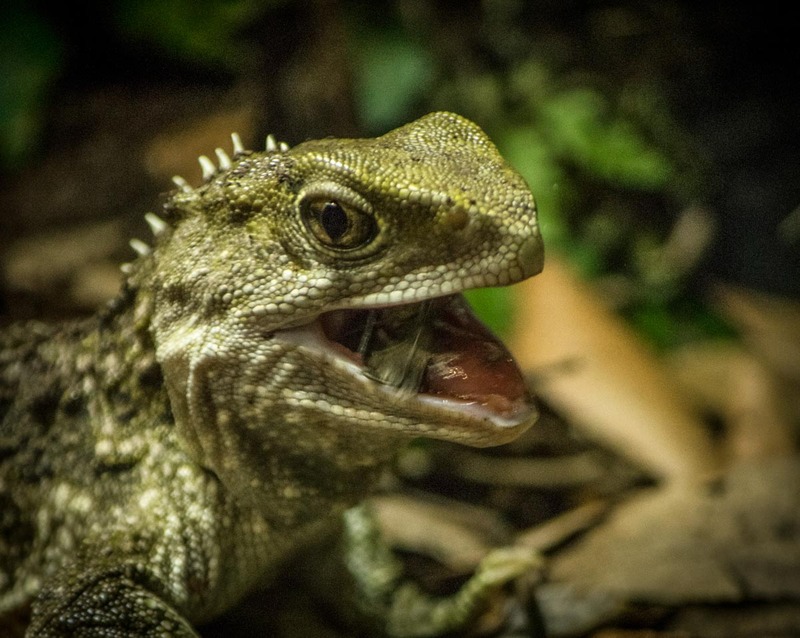 It was a highlight of my recent trip to Pukaha to catch the Tuatara feeding which I had not done before. 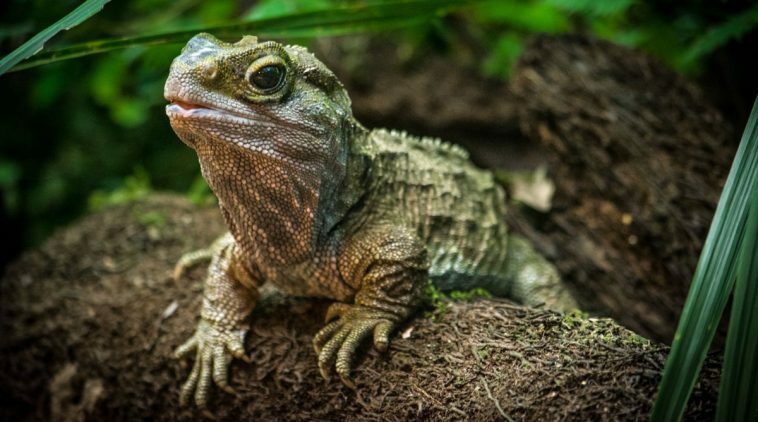 Tuatara are only found in New Zealand, called a ‘living fossil’ they date back over 200 million years to the age of the dinosaurs, and are the only living species of a distinct primitive order called Rhynchocephalia. These very special reptiles look like lizards but are not, they have no ears but can ear, have a photoreceptive third eye and drink through their skin. They can live to over one hundred years of age and still reproduce then, truly amazing, and they feed on a wide range of small animals, mainly large insects. 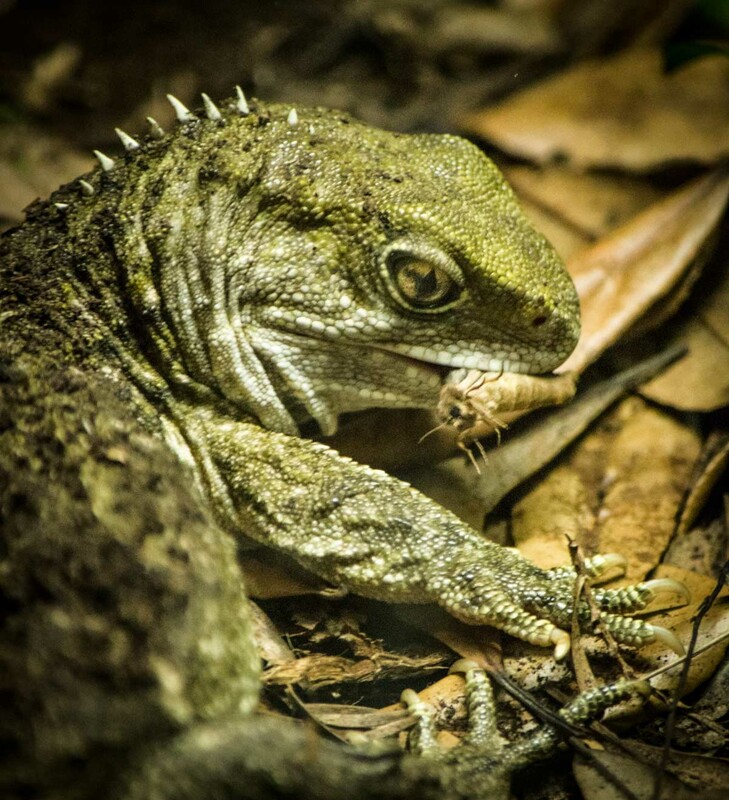 The Tuatara pictured here, a juvenile and one of five Tuatara at Pukaha, is feeding on a large moth. The other highlight was the eel feeding. 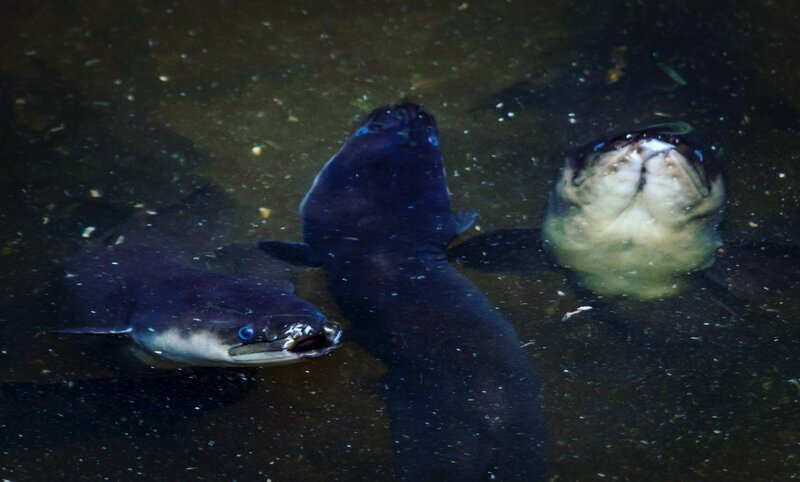 There is a stream full of New Zealand native Long Fin Eels, Tuna Kuwharuwharu in Maori, which are fed at 1:30pm daily. Used to this feeding time the eels congregate in all their blue-eyed, black glossiness under the viewing platform, giving visitors an excellent view of them. 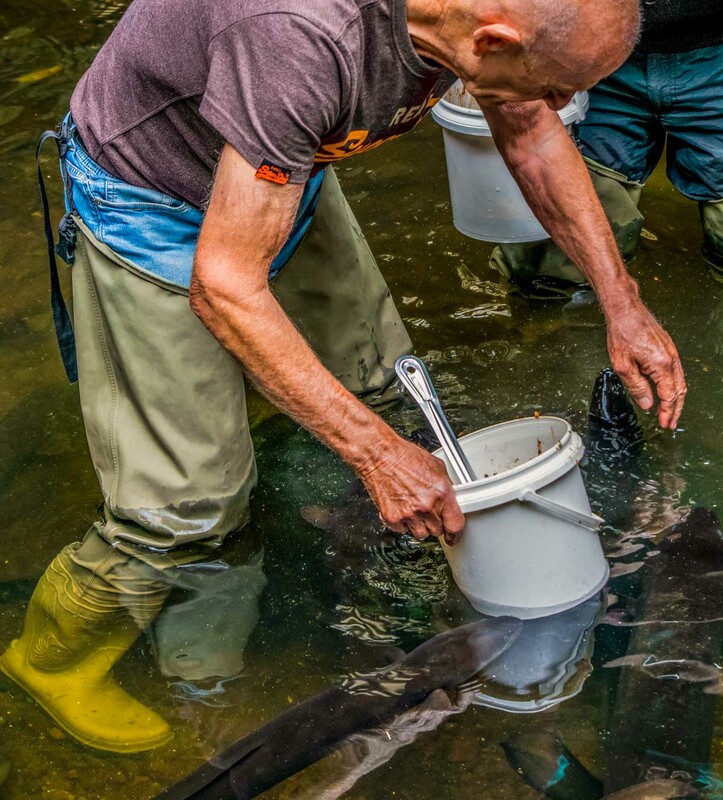 Those brave enough to volunteer can don waders and venture in to the water to feed the eels directly from a spoon, and pet them…carefully minding their mouths! They have rows of small sharp teeth that point backwards into their mouth so would make extricating your fingers rather tricky. The fellow pictured is my Dad. The spoon is placed at a low angle just touching the water and the eels take the food (a rather smelly mix of meat and other assortments which is apparently yummy for eels) right off with great big sucking sounds. The Long Fin Eel, so named because its dorsal (top) fin is longer than its bottom fin, is slow growing and is the biggest freshwater eel in the world, some females can reach two metres long and weigh up to 40kg. These eels are also extremely long living, there are records of females exceeding 100 years. There are some very large individuals at Pukaha, some of the females are nearly 60 years old, and their bodies to me looked as thick as a rugby player’s thigh! 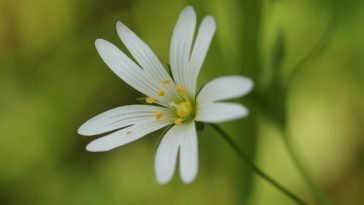 The most amazing thing about these creatures is their very complicated life cycle, made up of four life stages which are still not fully understood. Towards the end of their lives, the females will migrate thousands of kilometres from New Zealand waters, for up to five or six months to the tropical Pacific Ocean near Tonga where they spawn en masse and then die. The eggs hatch into larvae that float back to New Zealand on ocean currents. Arriving in astounding numbers in spring, the larvae transform into slender, transparent “glass” eels which then turn into grey-brown elvers (young eels) and begin migrating upstream. In the juvenile stage they are very good climbers, climbing waterfalls and up to 40 metre obstacles, and so are found a long way inland, even in high country streams and lakes. 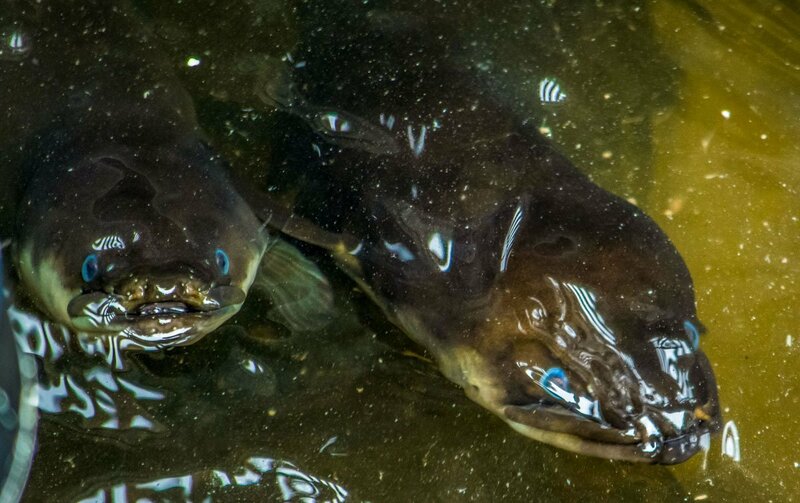 An important traditional food source for Maori, who believe them to be a taonga / gift from the gods, like many New Zealand native animals the Long Fin Eels are now threatened and numbers declining due to commercial fishing, habitat loss and pollution. However, it is sanctuaries like Pukaha and the efforts of the passionate staff who work there, educating visitors from New Zealand and around the world, that are working hard to bring New Zealand’s threatened wildlife of all kinds back from the brink.